2009 has proven pretty remarkable for Mae, but it’s been a long time coming. The Virginia-based trio hasn’t always been on the front lines of self-defined success. In 2007, right after the mastering of the band’s third record, Singularity, their former label, Capitol Records, merged with Virgin Records. This merger left the band on shaky grounds, and the need for a new path grew more and more apparent to them. But it was long before the deterioration of their label that the trio knew there was something missing. “We were kind of floating in this very dark ocean [in 2008]. The changing of the industry forced us to break out of the mold and do things differently, on our own,” explains guitarist Zach Gehring. He went on to describe their array of struggles and the band’s shared realization that a purpose had to be identified. In order to move forward, they knew they needed to stand together and take a step back to re-evaluate their purpose as a band. After months of weighing options with heavy hearts and sound minds, David Elkins, Zach Gehring, and Jacob Marshall decided to take a step in a different direction. Mae made a decision to move forward without a label or a manager. With this decision came a renewed sense of purpose and hope, and they kicked off the year 2009 with innovative ideas and a desire for change. One of their innovations was the 2009 Project, which offers fans one new song each month in an effort to raise money for charities. Each song will be re-released April through December 2009 on the collection of EP’s, (m)orning, (a)fternoon, and (e)vening, through Cell Records. Each of the twelve songs that are to be released in 2009 will be streamable through the their website, but Mae has asked for a minimum donation of $1 for each track download. 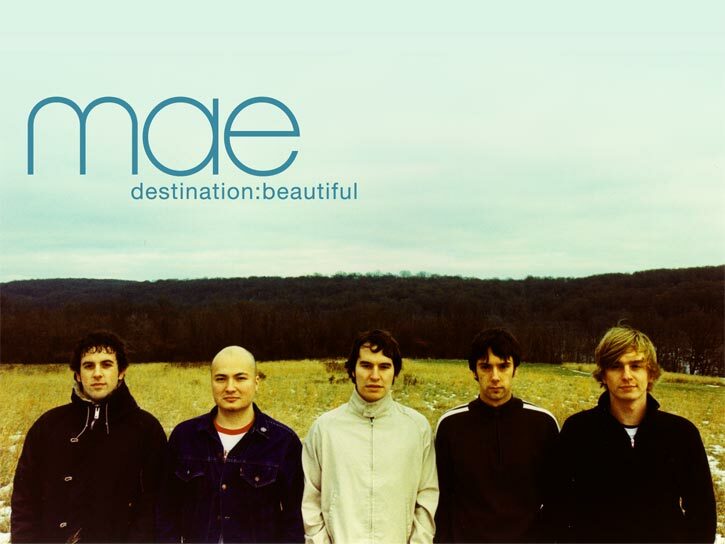 The band has committed to donating 100% of the profits from the digital downloads to fund charitable projects, and with the 2009 Project, Mae has presented an easy way for their fans to support not only their band, but also their cause. With half of 2009 still left, Mae is hard at work finalizing (a)fternoon and has announced a shift in focus to education. They’ve carefully selected DonorsChoose.org, an online organization dedicated to improving public education by engaging citizens in an online marketplace where teachers describe their needs and individuals can fund specific student projects. “The things the teachers are asking for are so miniscule. Some requests costs only twenty bucks,” explains Gehring. He talks about how budget cuts have hindered curriculums and the band just really wants to be apart of the giving back process to teachers and their classrooms.